Protection Against The Elements – Even if you have your truck bed lined with the best of the best truck liners, like LINE-X, you can’t always protect your cargo from damage from the elements, like wind, rain, snow or even the sun. For example, how irritating is it hauling groceries, furniture, or anything really in the rain or snow, only to have it soaking when you bring it inside or worse fly out because it’s so windy! With a Tonneau cover, you’ll never have to worry about that again. 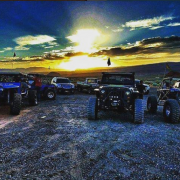 Additionally, if you don’t have a truck bed liner installed in your truck, this same damage can ruin your beloved ride even after just one year, sometimes even less. Protection Against Theft – Truck beds have been known to become a type of “catch all” for everyday items like coolers, tools, rope, flashlights, ladders, etc. When your truck isn’t protected by an off-road truck accessory like a Tonneau cover this can seem like an open invitation for people to come and steal your stuff. Avoid this by getting a cover for your truck bed today. 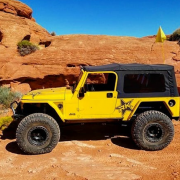 They look good – Let’s face it, no one wants to put something that is unpleasing to the eye on the truck they use as their daily driver or for off-roading excursions. Keeping this in mind, Tonneau cover manufacturers have designed a multitude of handsome looking covers that fit every budget and style. 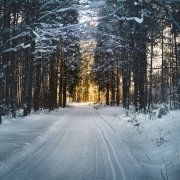 You can check out what type of covers are offered for your truck, here. 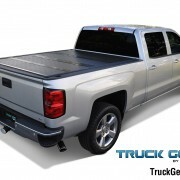 Now that you’ve seen the irrefutable information regarding why you need a Tonneau cover for your truck, let’s take a look at the types of Tonneau covers or rather the materials you can choose from when selecting the right cover for your off-road truck. 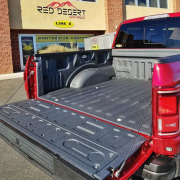 Hard Cover – Usually made out of metal, fiberglass or plastic a Tonneau hard cover acts as an extended trunk for your truck bed. These covers can be painted to match the color of your vehicle and some are even retractable! For the most part, high quality Tonneau hard covers are designed to offer unparalleled, durable protection while remaining light enough as to not weigh your rig down. Soft Cover – Designed from a fabric type of material such as vinyl, Tonneau soft covers are versatile and usually come with a rubberized coating to protect water and other elements from seeping through the fabric. Depending on the type of brand you choose for your cover, you may be able to snap the cover on and off or for even more added convenience, roll it back to reveal the truck bed. Soft covers are a great option for people who want to save money, but still want to protect they’re truck. However, a soft cover won’t protect your items as much as a hard cover Tonneau cover will, especially from would-be thieves. 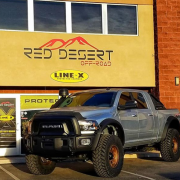 If you’re ready to outfit your truck with the latest Tonneau covers from Red Desert Off-Road come see us today! You can also contact us at anytime for any questions or concerns you may have about purchasing a Tonneau cover.